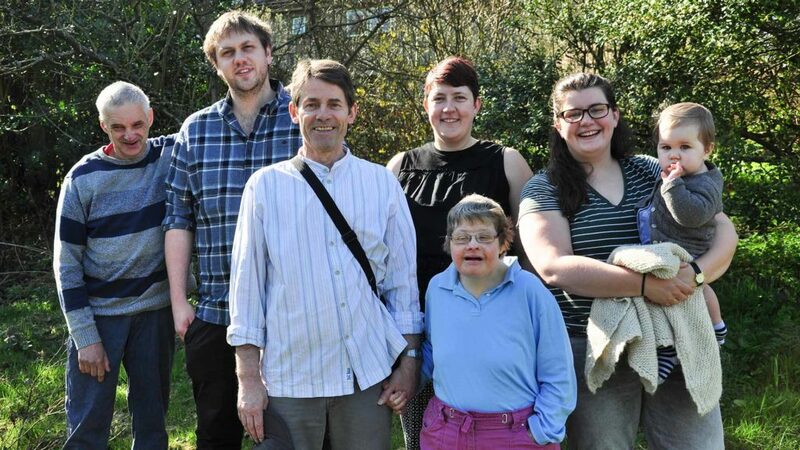 A new, 80-strong Camphill community – where people with learning disabilities live and work alongside co-workers and their families – is up and running in North Yorkshire and will be formally unveiled on Saturday April 28th. The Esk Valley Camphill Community (www.eskvalleycamphill.org) is working in partnership with The Avalon Group which is the approved Shared Lives provider for North Yorkshire County Council. The Esk Valley Camphill Community (EVCC) already rents 19 properties at Botton and in the nearby villages of Ainthorpe and Castleton. In addition, EVCC owns and runs the Danby Health Shop and has a community garden in the grounds of Danby Vicarage. It also contributes to the running of the local Steiner school and Flexi-Learning centre, the Moorland Waldorf Initiative. Thirteen EVCC households have registered under Avalon’s Shared Lives scheme whereby adults who need support and accommodation live in family households with approved Shared Lives carers. Nationally, there are some 12,000 people involved in these schemes with all the carers undergoing rigorous training and compatibility matching. The schemes are regulated under the Health and Social Care Act 2008 and The Avalon Group has been an approved Shared Lives Provider for over 20 years across Yorkshire and Teesside. The new partnership of EVCC and Avalon has emerged, following a period of transition, from the Camphill Village Trust (CVT) charity. Most of EVCC’s households are within Botton Village where CVT continues to provide support and accommodation to people with learning disabilities. Whilst many EVCC members work in CVT’s workshops, the new community also plans to create further employment opportunities by acquiring land and developing its own workshops. EVCC has already been accepted as an affiliate member of the Association of Camphill Communities (UK & Ireland) and is on course to achieve full membership during the course of this year. Dave Mitchell, chairperson of the Association of Camphill Communities, said: “I am delighted to have had the opportunity to see how this group of extremely dedicated people have been able to create a new Camphill Community initiative in the midst of Botton Village and in the surrounding area. Although the impetus to start Esk Valley has come from a group of very committed Camphillers they are not simply clinging on to the old forms but are positively embracing new forms of community. EVCC has also begun recruiting short-stay volunteers who are interested in the Camphill ethos to come and spend time in the community. They undergo an assessment and receive training from Avalon to become approved Support Carers. Currently there are six such volunteers from across Europe living in the households. One of the first projects that EVCC is undertaking is the development of a communal garden on land made available by the Rev. Michael Hazelton, the former Vicar of Danby, and the diocese of York. The community aims to create a long-term, sustainable source of bio-dynamic produce, initially to provide both food and work for its members, but with the hope of developing into a resource for the wider local community. Also for the future, there is the wish to acquire and develop land and property that can support a local community hub and resource centre. EVCC and Avalon will co-host an official launch event on Saturday April 28th in Danby Village Hall.